is a simple way to show your support for missing children and their families. to show your support in time for National Missing Children's Day on May 25! 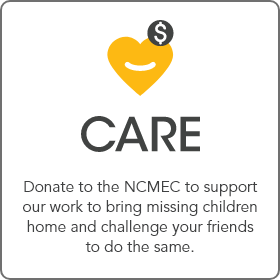 Please donate to the National Center for Missing & Exploited Children today to help find missing children, end child sexual exploitation and fund our critical outreach and prevention programs. Help give children the childhood they deserve. Ready to join the campaign? Download our full partner kit, which includes our brand-new PSA and social media posts, to get started! Don't forget, use the hashtag #RockOneSock and tag @MissingKids! 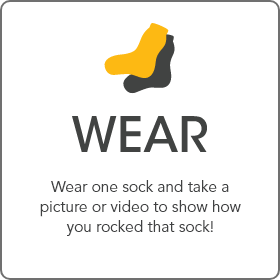 Bring Rock One Sock to the classroom! Teachers and educators can foster empathy and compassion at school while helping kids learn important safety skills. Join us May 18-May 25. 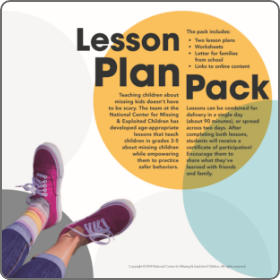 The Rock One Sock Lesson Pack is crafted for students in grades 3-5 with age-appropriate activities, engaging videos, and other interactive components. Fundraising lets the kids in your school get involved in helping others. Check out the lesson pack for ideas and set up your own online fundraiser. You can even get classrooms competing to see who can raise the most! What is the Rock One Sock Campaign? 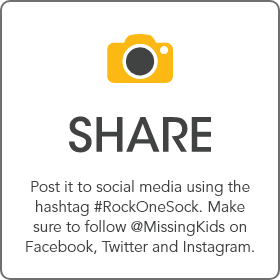 “Rock One Sock” is the National Center for Missing & Exploited Children’s annual social media campaign to bring awareness to the thousands of children missing in America. In honor of National Missing Children’s Day on May 25, NCMEC encourages everyone to join the campaign and get people talking about this important issue. Keep the conversations going by sharing photos of missing children to help save our country’s kids. It’s easy! Just put on one sock and take a picture, post it on social media using #RockOneSock and make a donation to NCMEC. It’s as simple as: Wear – Share – Care! 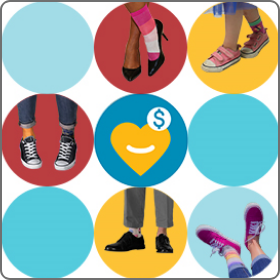 Join us and “Rock One Sock” between May 18 and May 25, in honor of National Missing Children’s Day on May 25. SOCK stands for Save Our Country’s Kids! Join us and “Rock One Sock” to show your support for missing kids! 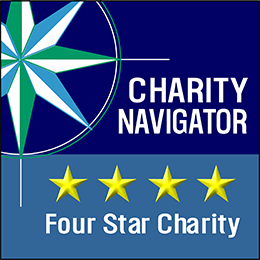 The National Center for Missing & Exploited Children® is a non—profit 501(c)(3) whose mission is to help find missing children, reduce child sexual exploitation and prevent child victimization. Copyright © 2019. National Center for Missing & Exploited Children. All rights reserved.